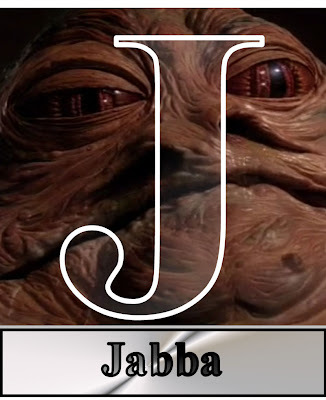 For Tuesday, we turn to the letter "J." He's repulsive, but he's got an eye for the ladies. If he had feet, he'd never see them. And when it comes to "smugglers who drop their shipments at the first sign of an Imperial cruiser," he hangs them on the wall as decorations. 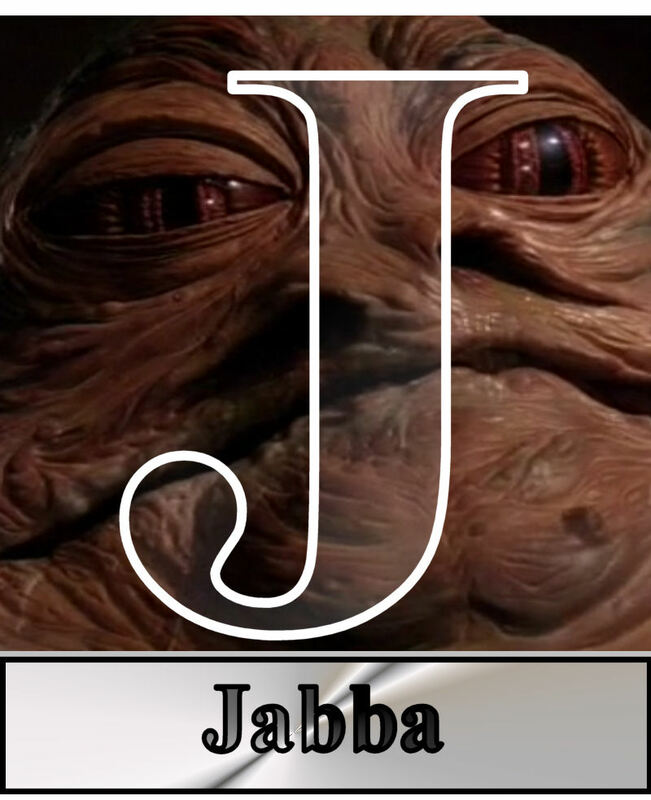 Jabba the Hutt is a filthy, disgusting, stomach-turning villain. From his wormy, slug-like body to his T-Rex arms and bulbous eyes, everything about him is repulsive. He belches, eats live appetizers in front of guests, and can't even move on his own. If Jabba were a human being, he'd park himself on a plush couch in front of a 65-inch HDTV with a bag of cheese puffs, a gigantic bowl of popcorn, and an endless supply of soda or beer while watching football all day, every day. And then he'd pit his friends against one another in MMA fights in his own living room. He'd probably make a killing on the meth market. He'd never shower and never shave, but no one would tell him he smelled because they like playing Xbox and watching Blu-rays and dig the live, unsanctioned MMA bouts. And they'd never make Jabba mad because he'd go freaking Goodfellas Joe Pesci on them. TOMORROW: Now that's a name I've not heard in a long time. A long time.